Martin Freeman, Tamsin Greig, David Suchet, Jane Horrocks, and Harold Pinter’s former protégée Danny Dyer will be amongst the constellation of stars gathering for super-director Jamie Lloyd’s massively ambitious new season at – where else? – the Harold Pinter Theatre. The ‘Pinter at the Pinter’ seasons gathers together all of Pinter’s one-act plays for an epic September to October run, with a top flight cast of directors - Lloyd, Lia Williams, Lyndsey Turner, Patrick Marber - tackling works by Pinter running from a few minutes to 40 or so. Though there are some famous works in there - ‘The Dumb Waiter’, ‘Moonlight’ - many of these plays by the menacing, cryptic Pinter - arguably the greatest British playwright after Shakespeare – are almost never seen, and you would, to be frank, be a proper mug to pass up this chance. See schedule below: most bills run in rep with another bill. Sep 6-Oct 20 – 'The Pres and an Officer’/One for the Road'/‘The New World Order’/‘Mountain Language’ (dir Jamie Lloyd) and ‘Ashes to Ashes’ (dir Lia Williams). Star Paapa Essiedu, Kate O’Flynn, Antony Sher and Maggie Steed. In addition Mark Rylance will read Pinter’s Nobel Prize lecture ‘Art, Truth and Politics’ at 6pm before the Oct 2 and 4 performances. In addition Penelope Wilton will peform the Pinter monologue ‘Tess’ – written for her by Pinter – at 12 performances from Nov 19. A Slight Ache was performed by 2 superb character actors, clever dialogue and with an underlying theme worth pondering. The Dumb Waiter was disappointing. Of course well acted by 2 of the best-known actors in the business but to me the play was Dumb-founding and with a script and finale I didn't quite "get". A wonderfully relevant and funny look at the times we find ourselves in, made all the better by a star studded cast. Staging and the theatre likewise is small, making links with the small mindedness of the characters. The performance took a little while to warm into and it's not abundantly clear what is happening but was enjoyable nonetheless. My top tip for enjoying Pinter is to not expect to be spoon fed a plot or have characters backstories given to you on a plate. We are so typically used too this, let your imagination do all the work. Pinter himself says the meaning of his works are whatever we interpret them as. Loved "The Room" dark and violent, Pinter's first of his 29 plays. Fantastic to see such an extensive body of his works being performed by the most talented actors in the business. Pinter 6 brings together 'Celebration' and 'Party Time' in an appropriate consideration, in these political times, of the detachment from reality of the rich. The claustrophobic staging of both plays emphasises the small minded attitudes of the characters and their determination to avoid any issues or concerns that transcend their petty preoccupations. Adam Poopola is particularly superb as the outsider, the unnamed waiter in 'Celebration' and the ominous, brutalised Jimmy in 'Party Time', who impinges on the insular world of the wealthy and reminds the audience of the devastating consequences the wilful ignorance of the wealthy can have on the victims of their oppressive, hierarchical, exclusive and excluding society. 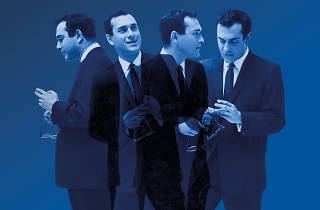 I saw Pinter 6 which was two x 1 act plays. The first was the Party, I have to admit I wasn't really keen on this one and I didnt understand who was doing what and who was married to who? The acting however was fantastic and really did appreciate this as well as the design and stage movement. The 2nd play Celebration - this was a hoot! Very funny, great acting, perfect staging and set design. I really got into this play and Mr Pinter should have made it longer!! I do recommend this even though the first act was bizarre, it certainly gets you talking! 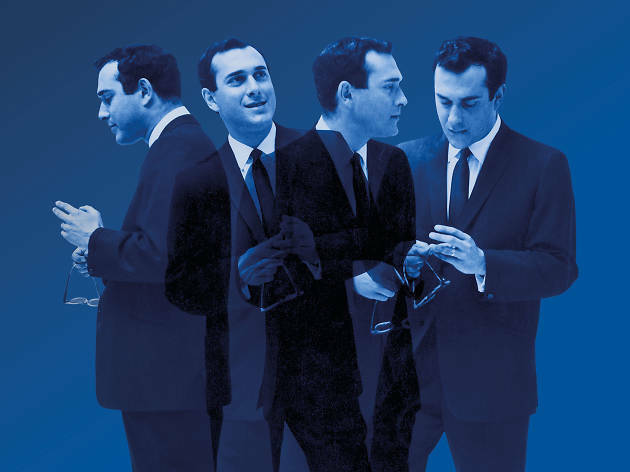 I watched Pinter 6 - I understand Harold Pinter is a legendary British playwright, but I'm not sure I saw his brilliance through these one act plays. Perhaps he has done something revolutionary in his time but it's just considered normal now. It's fascinating how the characters would go on and on about nothing at all - but I found it repetitive and quite boring. "Celebration" had good moments - they were funny in a crass sort of way. Pinter 6 - if I'm honest I didn't really get Party Time, but other members of the audience found it hilarious! Celebration, on the other hand, was absolutely brilliant. Hilarious, vulgar and relevant. An all-star cast with an all-star audience. Brilliant. Pinter 2. The Lover and The Collection are a pair of living room dramas from the early 1960s. The acting is immense. Possibly the best production of Harold Pinter plays that I have ever seen. Funny and dark. Pinter 1. Nine different short plays, mostly about the state and various forms of dystopia. Brilliant acting again. Absolutely not a date play. Intense and very bleak.